Huge giveaway from Draper’s BBQ! 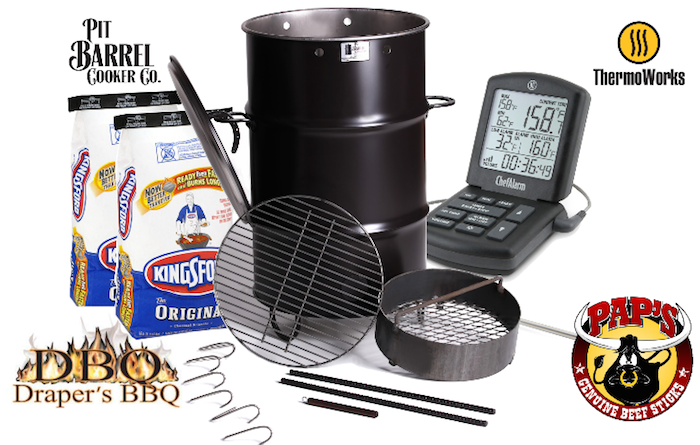 Everything you need to be a Pit Master in your backyard or at the next BBQ Competition! We’ve been posting and talking about Draper’s BBQ rubs and sauces for a while now. But this is big! Win a boatload of BBQ awesome! 4. 1 pound of Draper’s BBQ A.P. Rub! 5. 1 pound of Draper’s Moo’d Enhancer Rub! 6. 1 Gallon of Draper’s Smokin’ Sauce! 2. That’s it! Oh, and share, share, share with your friends! Good luck to all that enter, and if you win, be sure to tell Shane that HotSauceDaily.com sent you! Wow BBQDave! Good luck man. I understand hard times too, and I wish you luck buddy! Wouldn’t it? good luck liz!